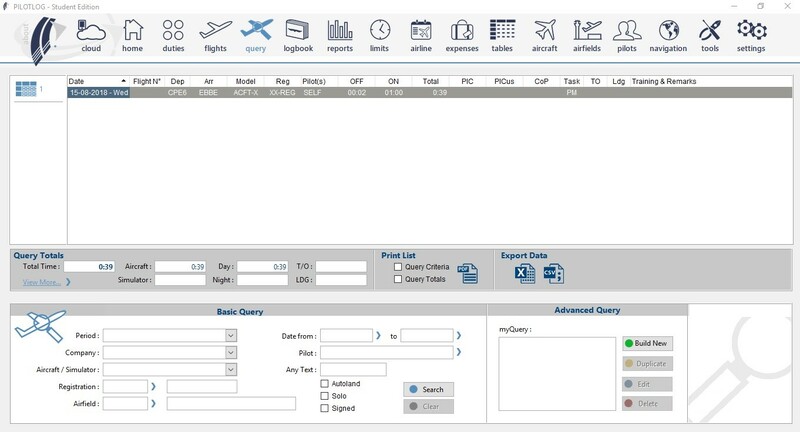 Is CrewLounge PILOTLOG is the electronic pilot logbook I have been looking for… ? Does it run on my desktop and phone ? Can I use it for my type of flying ? Is the price affordable ? These are probably the most important questions on your mind right now. So, let us try to answer those straight away ! 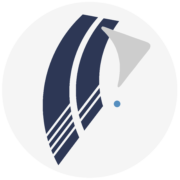 CrewLounge PILOTLOG is a complete electronic logbook for any kind of flying, whether you log 10 hours a year or 10 hours on a single day. The main desktop program runs cross-platform on Windows and Mac. Native apps for iOS, Android, Blackberry and Amazon Kindle enable you to record flight data onboard the aircraft. Again, no continuous internet required, these apps run their own database. As soon as you have access to internet, the database automatically synchronizes with the cloud. Data transfer is wireless, there is no need to connect your device with a cable, no additional cloud setup or drive sync. All you need is internet wifi, and we take care of the rest. Are you flying fixed-wing, helicopter, balloon, glider ? Civil, Military, Rescue or just for fun ? We’ve got you covered ! 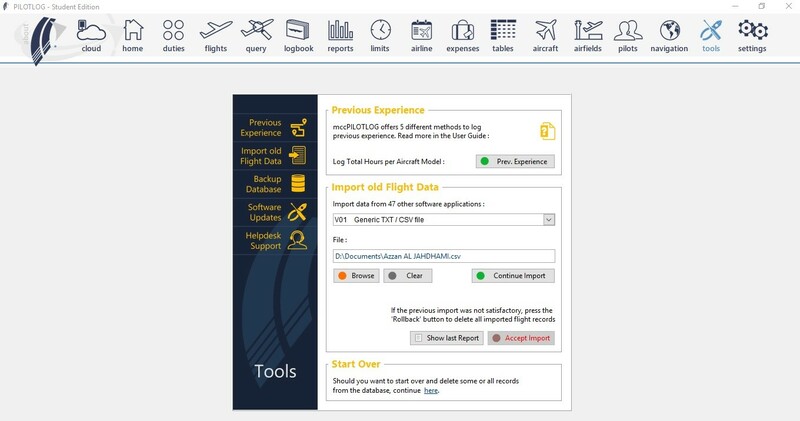 You can log over 60 items on a single flight, such as cross-country time, solo, aerobatics, PICus, Cruise Relief pilot time as well as the full crew list, number of passengers, Fuel, Delay Codes, de-icing, type of operation (FAR 121, HEMS, NVG) and many more. Our mission is to deliver the most comprehensive and user-friendly logbook software. The bugs that come with it, are included in the price. (anyone else claiming to deliver bug-free software should make your eyebrows knit) Therefor, the software is only as good as the support you get ! We take pride in excellent customer service. Our support team is available 24/7, also on public holidays. With over a thousand pilots joining us every month, we believe to deliver a solid software application and reliable customer support. We try to go the extra mile every day ! 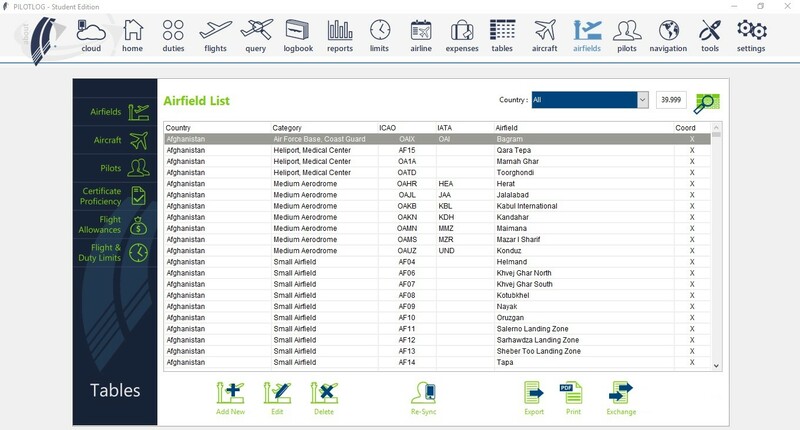 CrewLounge PILOTLOG installs with a worldwide airfield database with more than 40,000 major airports, but also heliports, hospital roofs, ballooning sites, glider and ultra-light strips, and air force bases. If you operate into special regions, such as the North Pole, the Maldives Islands, Safari Lodges in Africa, Oil Rigs in the North Sea, you can install additional special airfield packages. Get live weather METAR – TAFOR and NOTAMS. 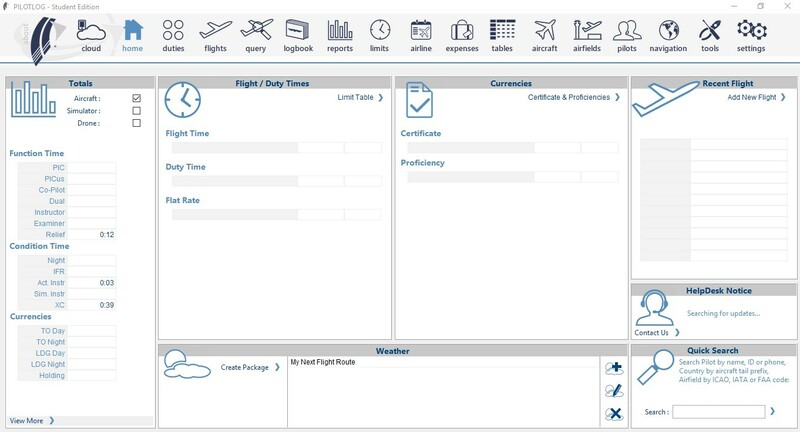 CrewLounge PILOTLOG monitors all your certificates and currencies, including minimum IFR or Night time, minimum number of autolands or ILS approaches, airfield qualifications, license renewal dates, medical and passport expiration, and many more… The notification period is user selectable. Monitoring and alerts are synched with your mobile device. Having a hard time remembering faces ; use your mobile phone to make a snapshot of your fellow pilot. The picture is automatically synced to all other devices that run CrewLounge PILOTLOG. Store unlimited pictures on CrewLounge Cloud with the ENT+ Edition. 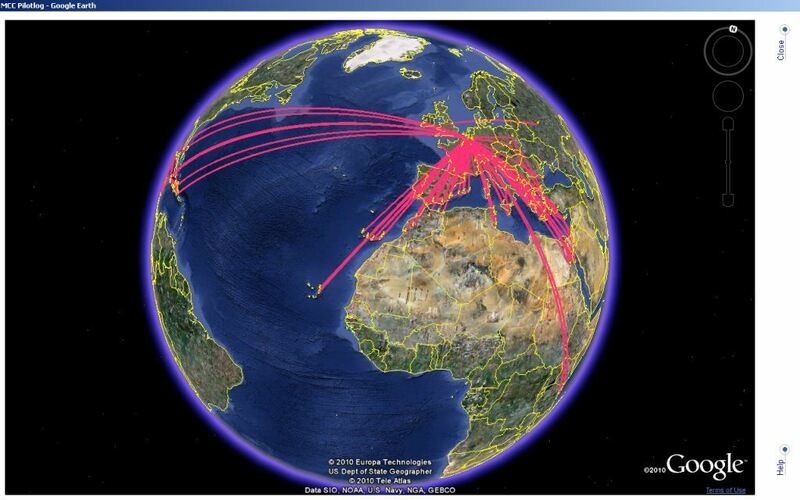 CrewLounge PILOTLOG imports your planned roster and achieved flight data from more than 400 airlines worldwide. Import your roster as PDF file (off-line) or connect straight to the crew web portal (on-line). 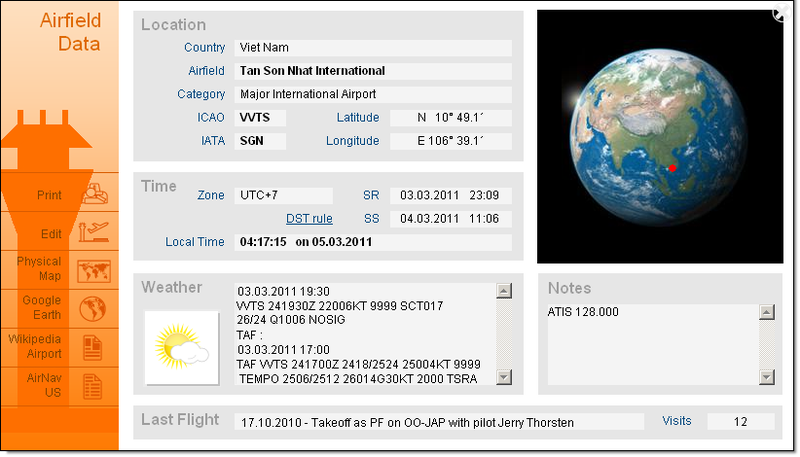 Night time and flight allowances are automatically added by the software. 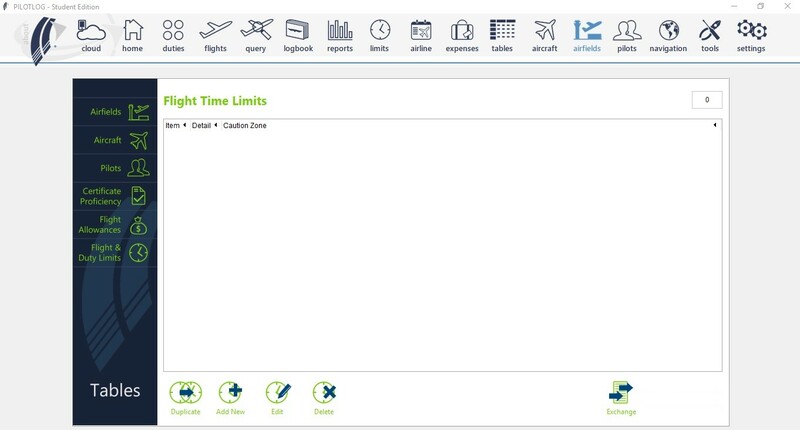 CrewLounge PILOTLOG supports 90 different crew management systems, such as AIMS eCrews, NetLine/Crewlink, Sabre AirCrews, Sabre CrewTrac, Sabre CWP, Sabre TASC, FLiCA, Sigla, Jeppesen eMaestro and many more…! We also import EFB and ACARS data. CrewLounge PILOTLOG comes with more than 120 stunning reports. Select any report from the list and hit the Print key. All reports are available as PDF. CrewLounge PILOTLOG imports records from over 40 other electronic logbook applications, such as Safelog, Logbook Pro, Coradine LogTen Pro and many more – view the complete list. You can submit your data file for conversion. 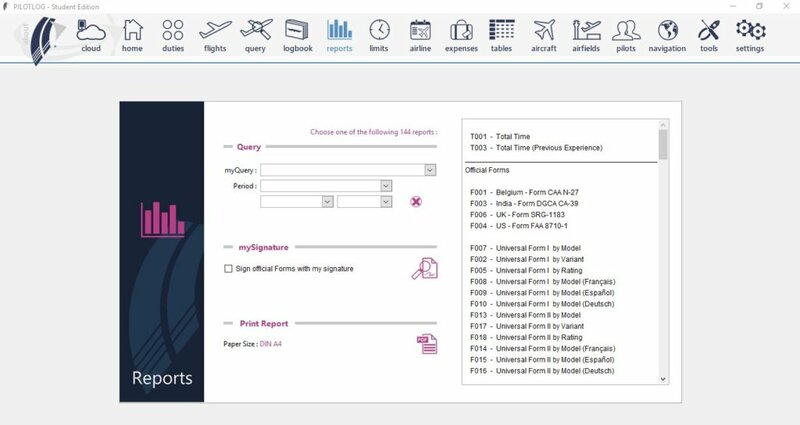 It’s about time to print your logbook : select any of the 60 different formats. If your country is not listed, contact the Help Desk to have the format added. Capture your instructor’s signature on your mobile phone. 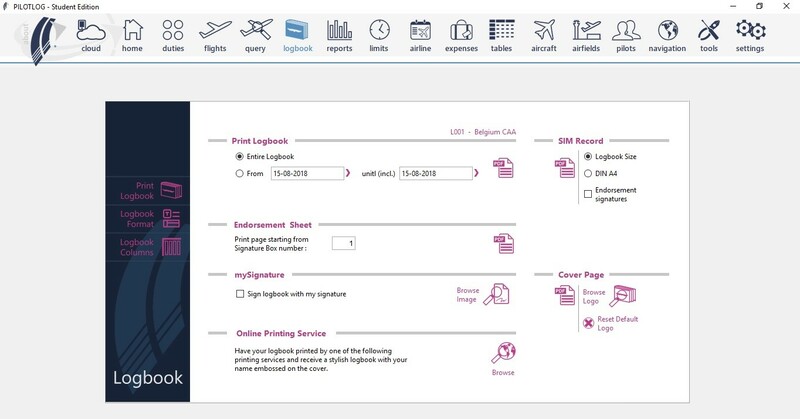 Endorsements are automatically synced to the main desktop application and printed in your paper logbook (or electronic PDF). 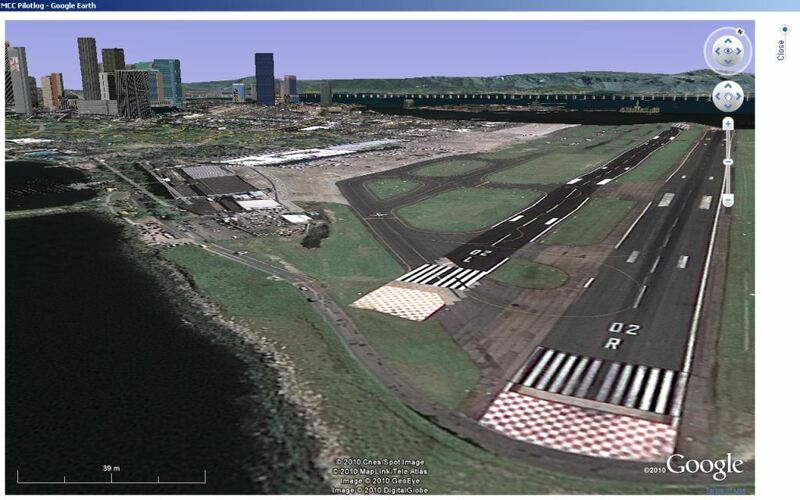 Plot your flight routes on Google Maps or SkyVector, and zoom-in to airfields on Google Earth. 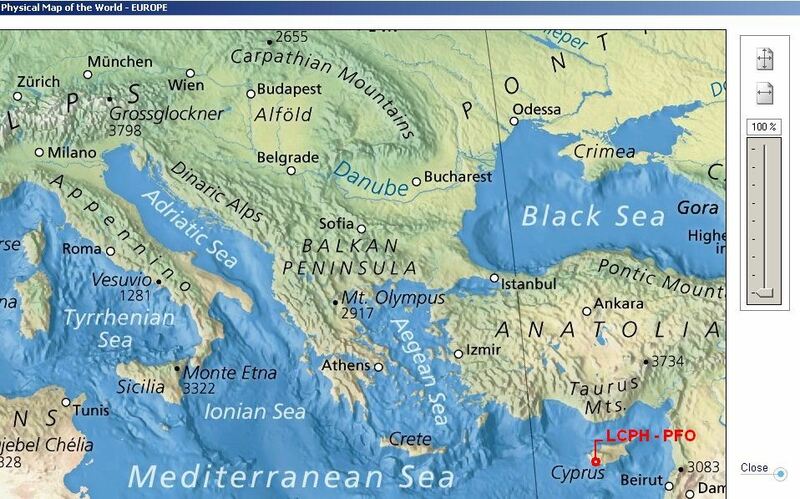 CrewLounge PILOTLOG comes with beautiful high-definition topographical maps displaying the location of any airfield, surrounding cities, mountain, rivers and deepest spots in the ocean.